Cute, older cottage with charm. 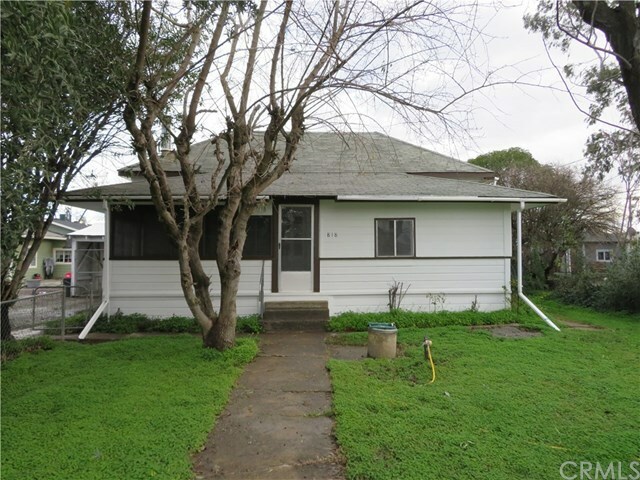 Clean 2 bedroom, 1 bath home with bonus room off front porch. New flooring throughout home. Large living room with new carpet and free standing gas heater and a small wood stove. Large open kitchen with gas range, and refrigerator and double stainless sinks. Wall ac. Large pantry area and built in hutch. Inside laundry with washer and dryer included. Nice backyard with shed.